Pressure, reading notices, tech stuff, and I’m still working with my patience limit! What is the inspiration behind your books? What is the French way of living? Why is it so famous? How can women adapt the French way of living? 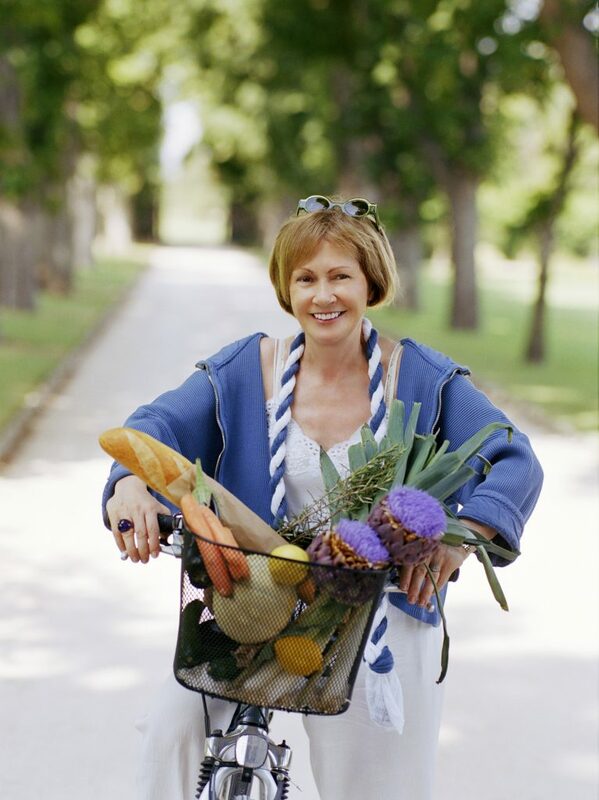 What is your advice for women entering their forties? To take care of themselves physically, mentally, profesionally and spiritually and to take time to laugh and be with loved ones. Not really…it’s the function of what I find at the market but I always have items in the pantry to make a meal at the last moment. Do you have any tips for women who work long hours and don’t have time to cook? How highly do the French rank pleasure when it comes to food? What is the secret of French Womens beauty? Less is more. Clean your face every night. A couple of facials a year and no sun between 11am-3pm. Wear minimum make-up. Would you say French Womens eating = to Mindful Eating? The ones who do it benefit highly but again globalization is sabotaging our way of living and eating and too many young people eat very poorly not enough veggies and fruit absolument. Too many to list but my life with Veuve Clicquot and working with Chanel in Japan were pretty cool. As an author book tours to meet fans and press was highly exciting. Do you have any words of wisdom that you would like to pass on? The most inspirational person you have met?